CAN WE HELP YOU? 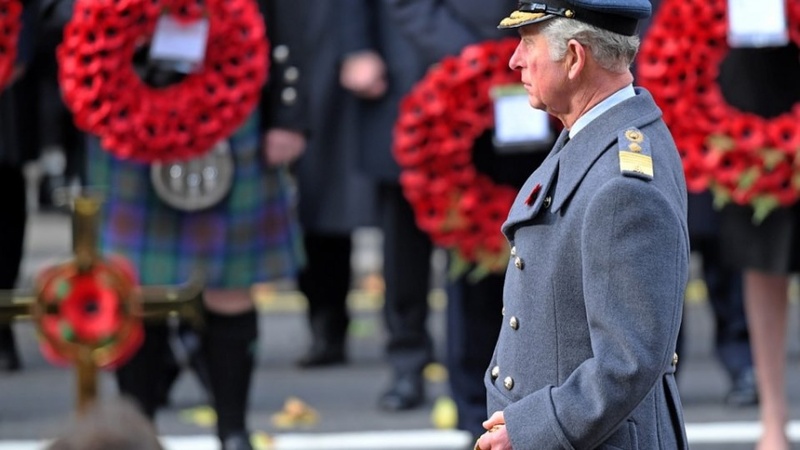 We provide answers to your questions about all medals, citations, ribbons and badges. Read stories from the medal-mounting desk of Neville Crawford. We expect you may be as intrigued as we are! 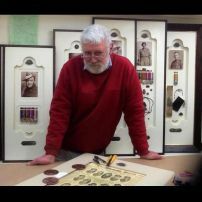 Click here www.rechercheframing.com.au to get an insight into our "detective work" regarding your medals and military heritage. WE RECOMMEND COURT MOUNTING. Court mounting is a secure way of wearing your medals, preventing damage because the medals cannot knock into each other. 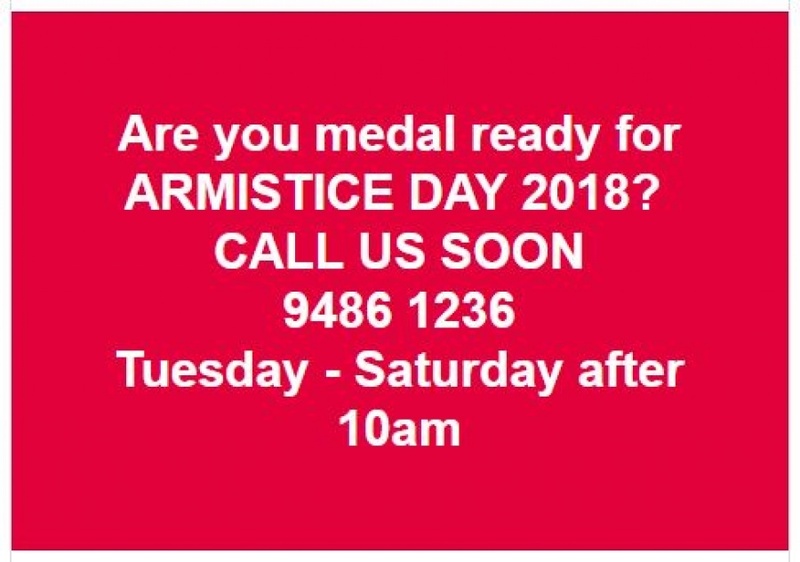 If you are using our online purchasing facility, please remember to add the mounting charge of $25 per medal to your 'medal with ribbon' purchases. 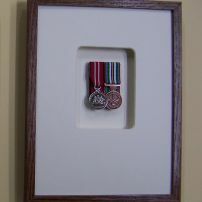 As experienced Frame-makers and Medal-mounters, we design and make THOUGHTFUL and INDIVIDUAL MILITARY SERVICE FRAMES. We are your one-stop shop for everything you may wish to preserve and present within a frame: photography, textiles, documents, or metal to name just a few. COMPARE OUR APPROACH TO OTHERS IN THE FIELD, come talk with us and see examples in our showroom. 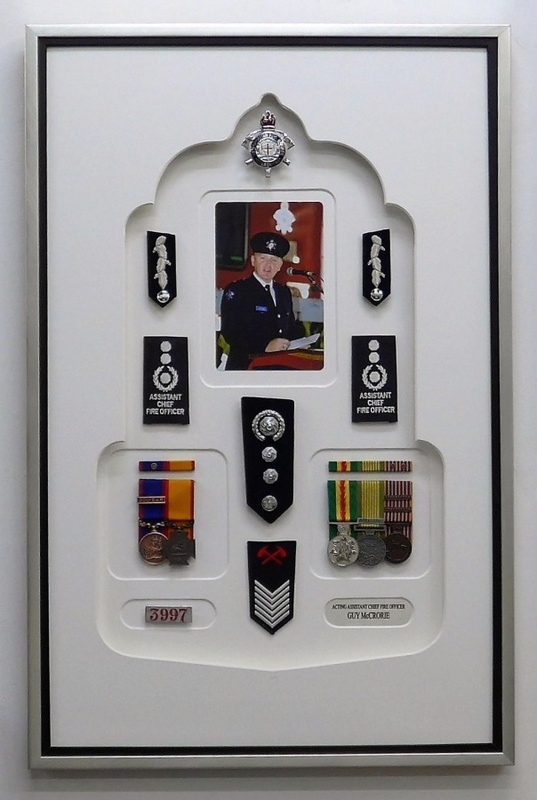 commented on "A career of service frame - MFB (Melbourne Metropolitan Fire Brigade) - with medals and insignia - ..."